This is a new piece titled "Watching Ed" Actually it is a combination of ideas that were rolling around for sometime and I combined them into this single title. What is this piece conveying? I think everyone can agree It's uncanny how mothers are always with you no matter where you are or how hold you are they will always watch over you. 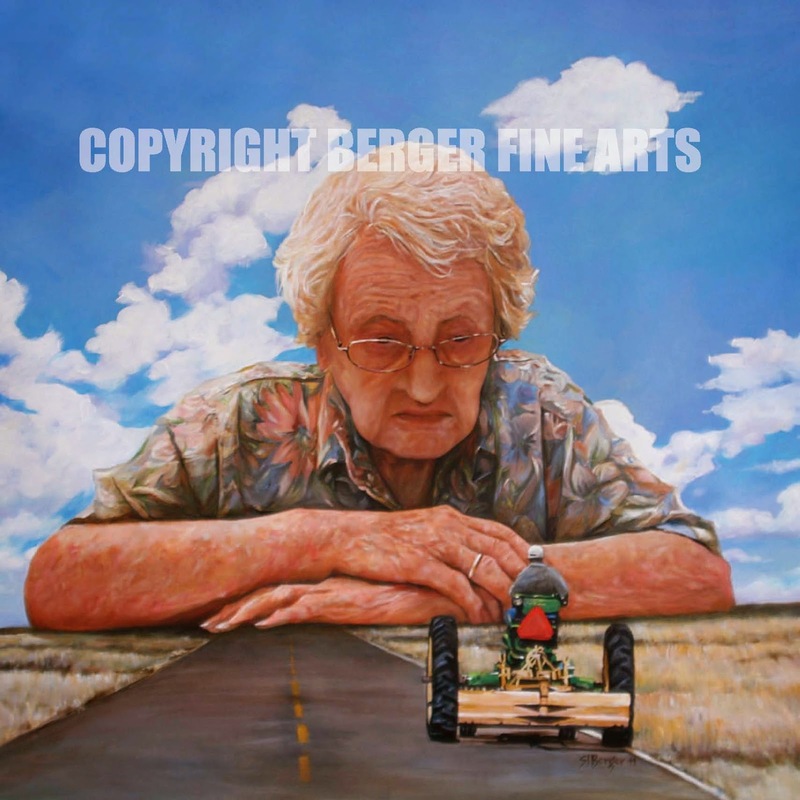 By combining the outdoors, a long road and a daydreaming cloudy summer day I think this piece works on a number of emotional levels and gives meaning to the feeling that moms will always be there, or somewhere keeping an eye on you. Just a pure fun piece to do. 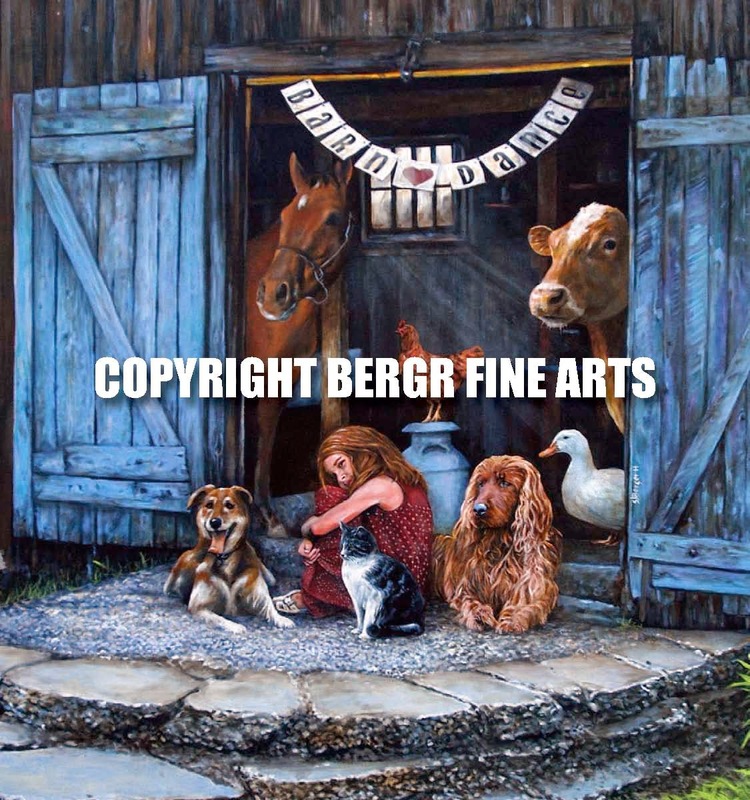 Prints will be available soon in the farm series category. 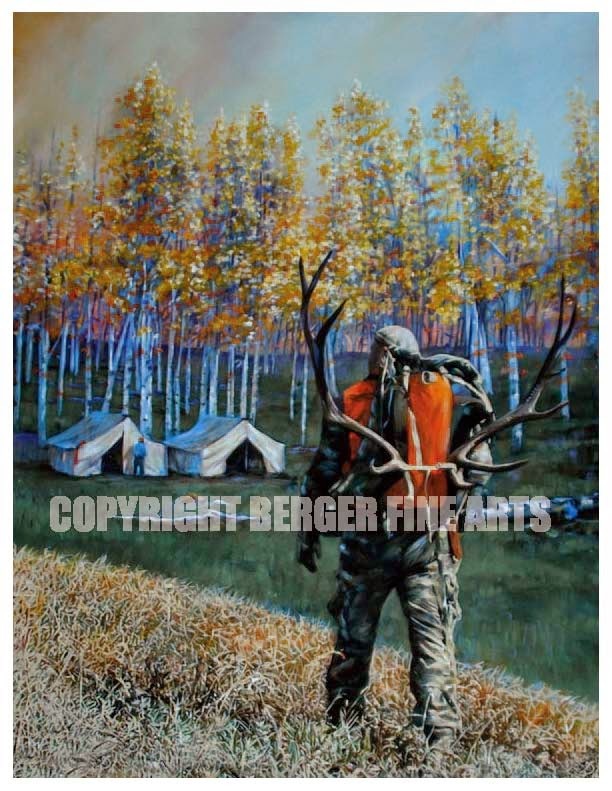 There is nothing like a fall hunting trip and this painting shows an elk hunter walking back to camp after a successful outing. The sky is ominous snow may be moving in. This painting still has a way to go but I wanted to show now while it is still being worked on. 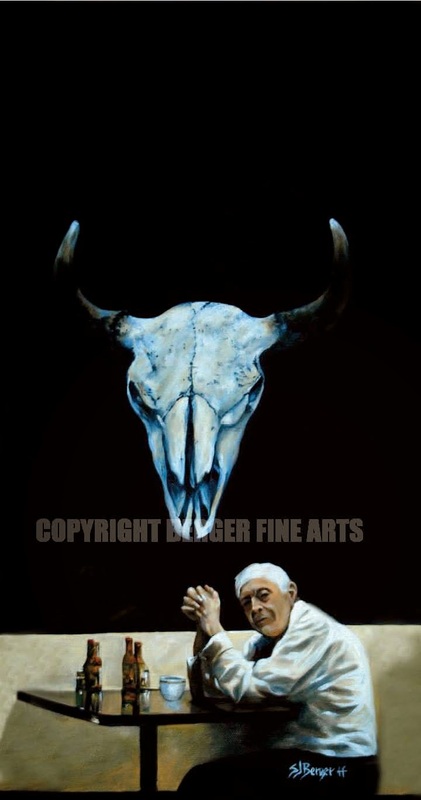 I am thinking about a new series of art around hunting and all the rituals that go with it. This may be the first of the series so keep posted to see whats next. 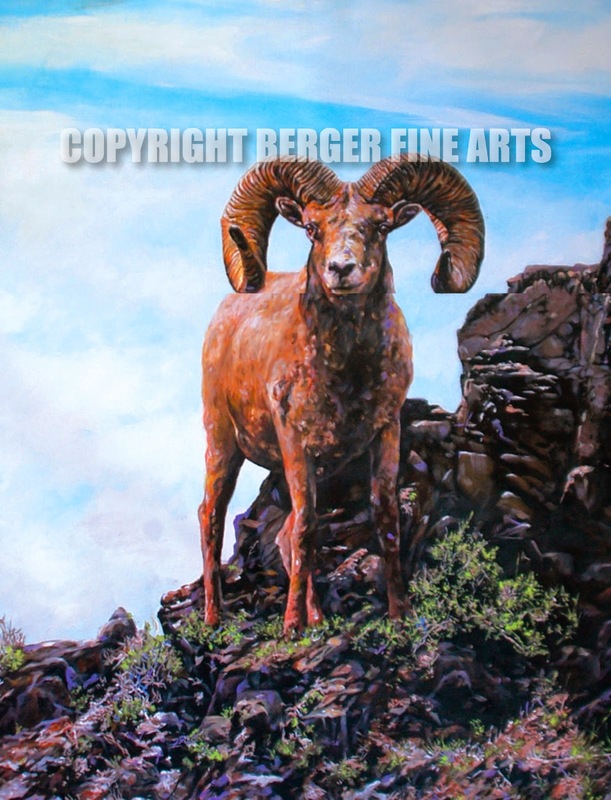 If interested in purchasing the original 30"x36" email steve@bergerfinearts.com. A nice day of fishing. Depending on your vantage point nothing beats a fresh fish shore lunch with friends. Invited friends that is. This painting started out with a trout on rocks and just became more interesting as I painted. 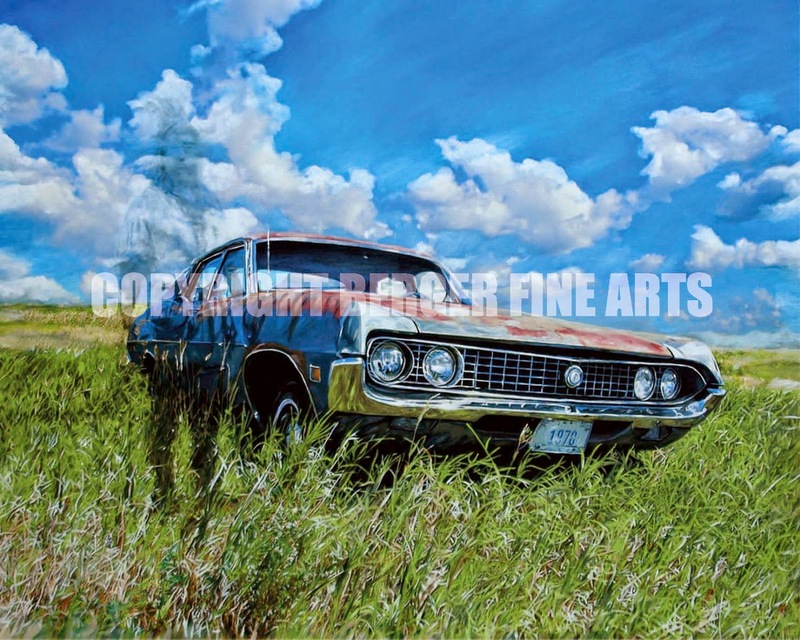 I will leave it to the viewers imagination on how the rest of the day pictured here turned out.This acrylic print is signed and ready for your frame and mat. 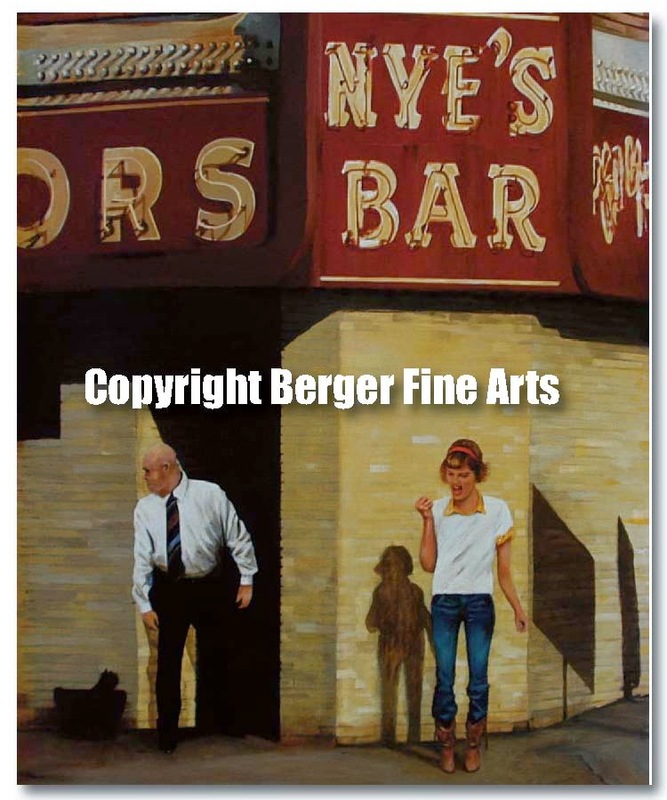 The 16x36" acrylic original is available, email:steve@bergerfinearts.com if you are interested in purchasing. 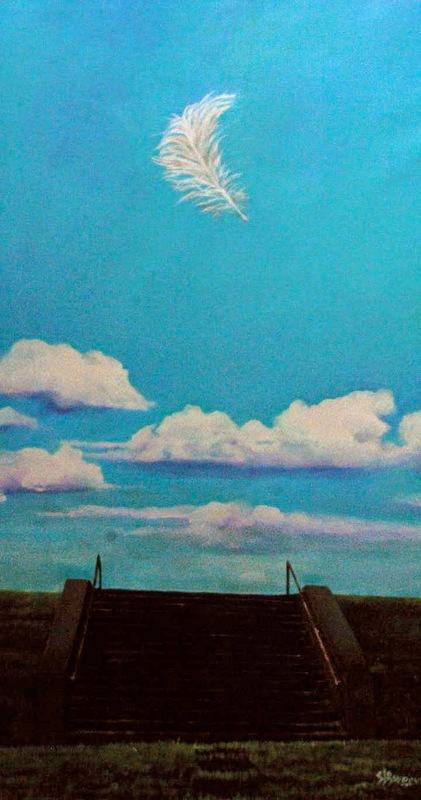 It's late summer and this new piece is for all the people who fly in their dreams. This did not reproduce well for this post but the lake has more reflections in it that's showing here. I may go back into this one. I like the idea of leaves falling out of the pattern in the dress. Starting to run out of summer. Green grass and bare feet can only mean one thing, summer. In this piece I wanted to get a different perspective of enjoying a hot summer day. I think every person who enjoys the outdoors can relate to the feeling of grass on bare feet and clear blue skies. I think summer must be both interesting and terrifying from an ants view point. 10x14 Signed prints of this painting are now available as part of the farm series on my website. There use to be a high school here but all that is left are these steps leading up to the now nonexistent front door. The stories these steps could tell. I think it is appropriate that they remain though the school is long gone. 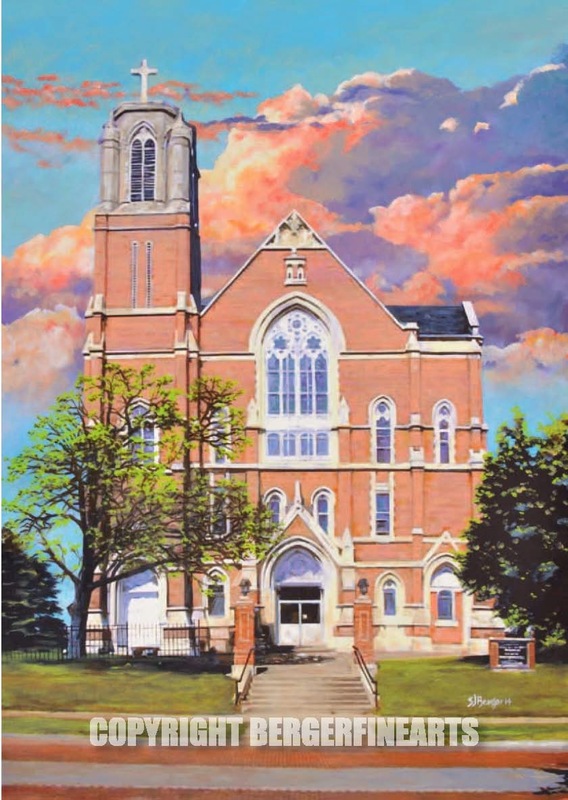 The building could never retain all the memories that were once housed there. Up the steps into the door and out into the blue. Makes you wonder where all the students ended up. Here is a new painting that will be part of the "Farm Series". It is not quite, but just about done. I still have a few hours left in it, but I wanted to post it anyway. 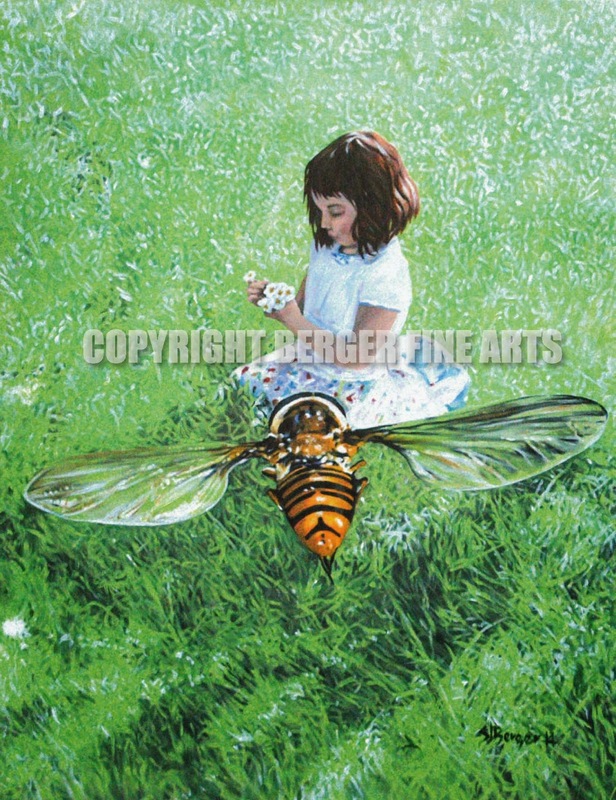 This colorful summer time piece original measures 24x 30" and features a girl in a field picking flowers with the ever present flying terror of the fields hovering nearby. Is the bee zooming in on her arm or the batch of flowers she is holding? We will know soon enough. 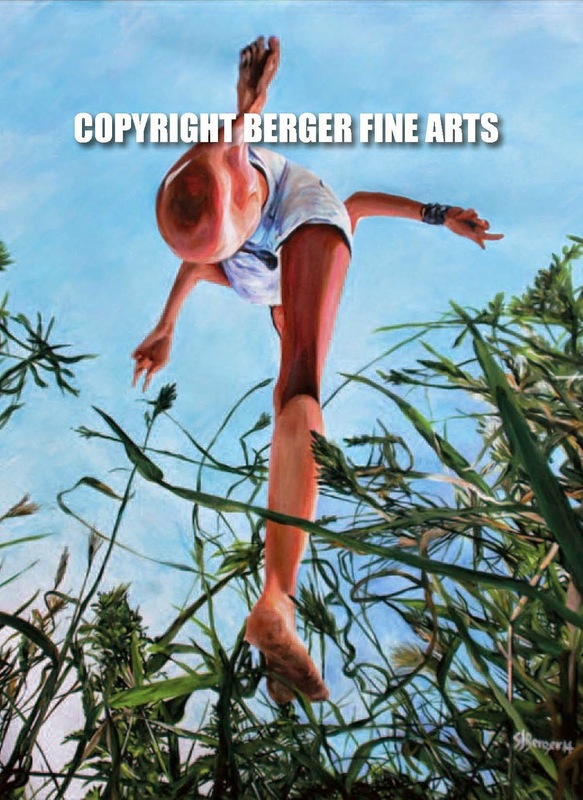 If interested in a signed print go to my website under the "Farm Series" Category or just hit this link: .http://bergerfinearts.com/products-page/farm-series/ If interested in the original just email me; steve@bergerfinearts.com. This painting does not really fit into any category but it was just something I had half finished for some time. 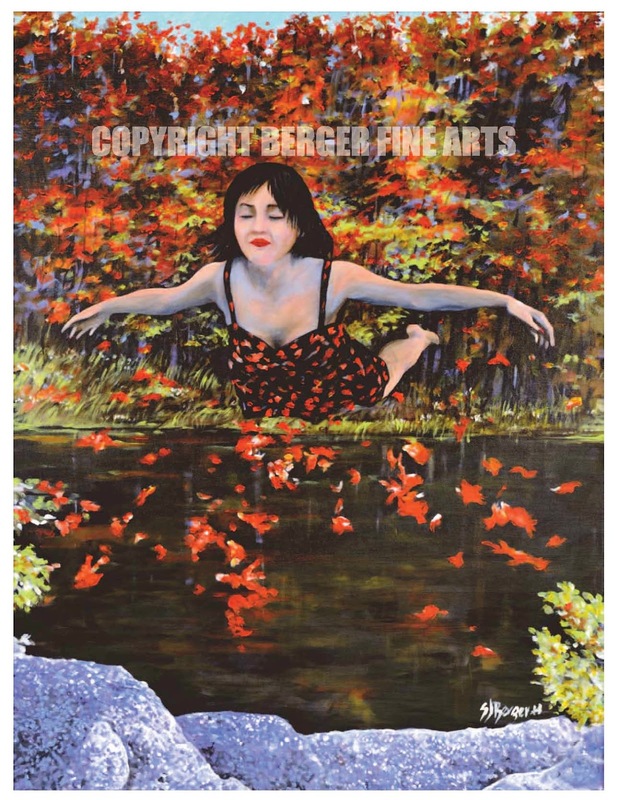 I plan on doing a few more of thes "Surreal" type paintings so watch this blog and I will post as I finish. 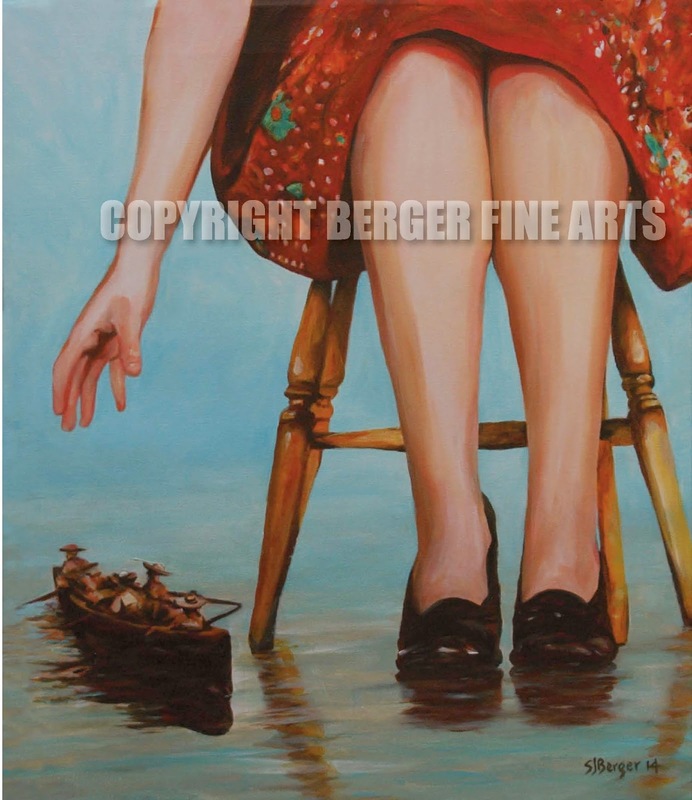 This one is titled "Hand Reaching Out To Boat" and if you are interested in purchasing 16x20" signed Giclee of this dream like print, go to the category on my website titled "New Art Prints For Sale". Make sure you scroll down it will be the last one in the category. A new painting for the farm series is a study of determination. 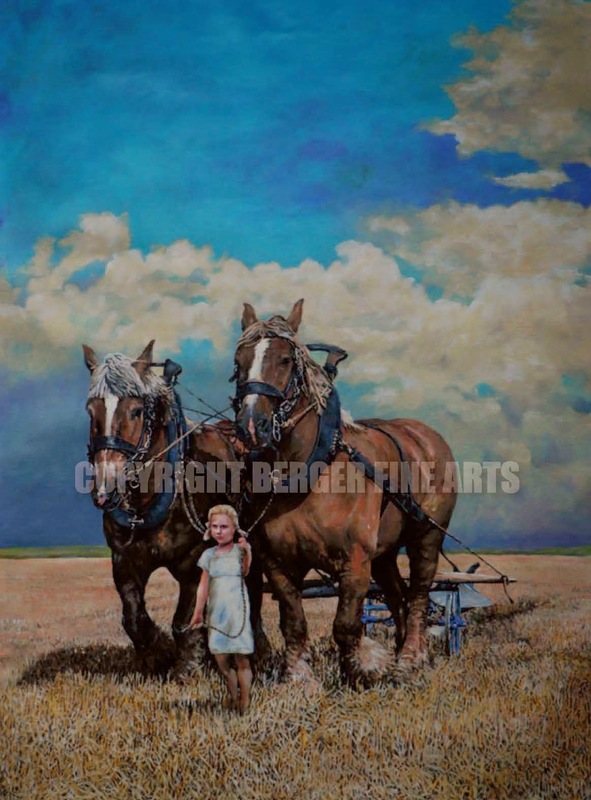 It shows a young girl leading a pair of draft horses through a field. The plow behind them is unattended but it matters little to this group. judging by the clouds on the horizon a storm is either coming or has just passed so it's anyone's guess on just exactly what led up to what is going on in this scene. 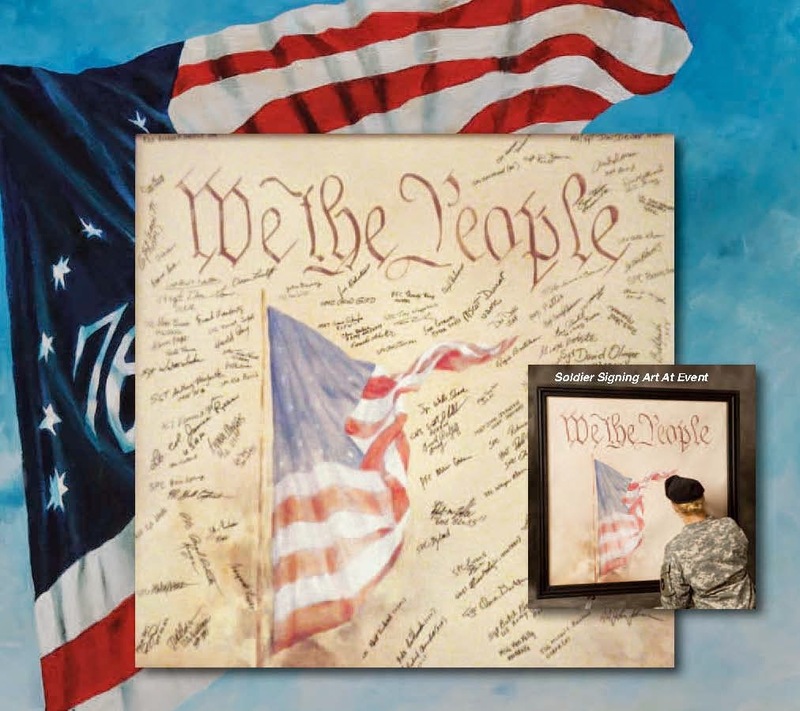 This signed 16x20 Giclee print is now available and so is the original painting. 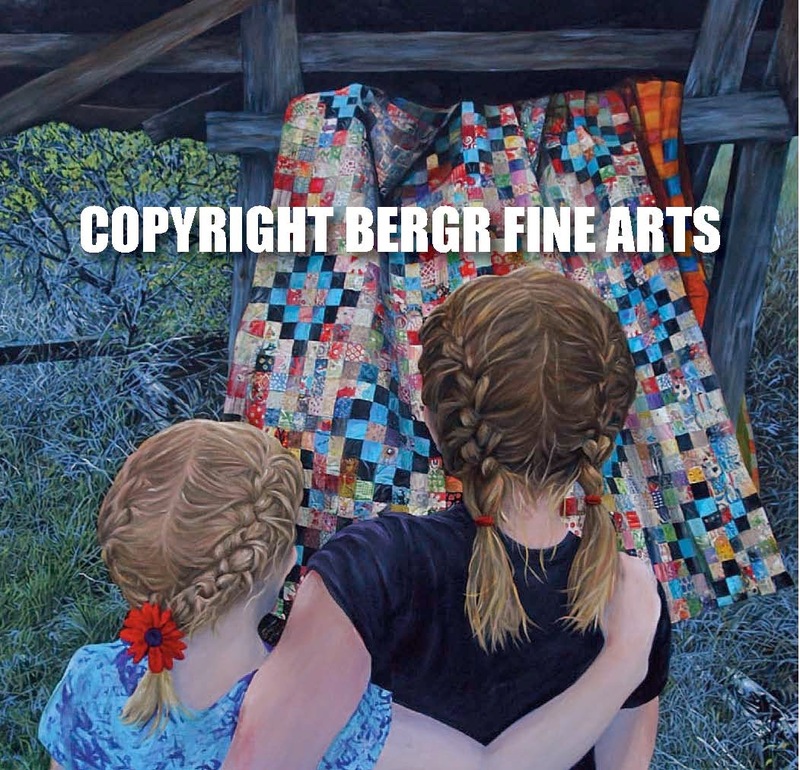 If you would like to purchase either look under the "Farm Series" in the category section on my home page. If you want to enjoy Minneapolis you must go to Lake Harriet for a walk around the lake. 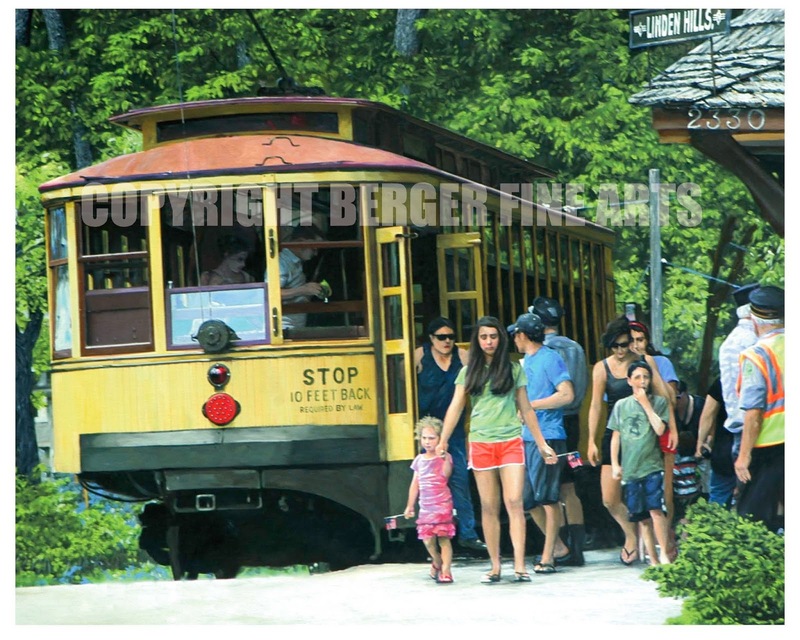 This piece of art shows the Lake Harriett trolley on a typical summer day. This wonderful area in Linden Hills shows despite the winters what makes living in Minnesota worthwhile, especially in the summer. You can walk from the trolley to the bandshell by the lakein a minute and enjoy a concert watch sail boats on the lake swim, fish, etc. It's summer enjoy it while you can. 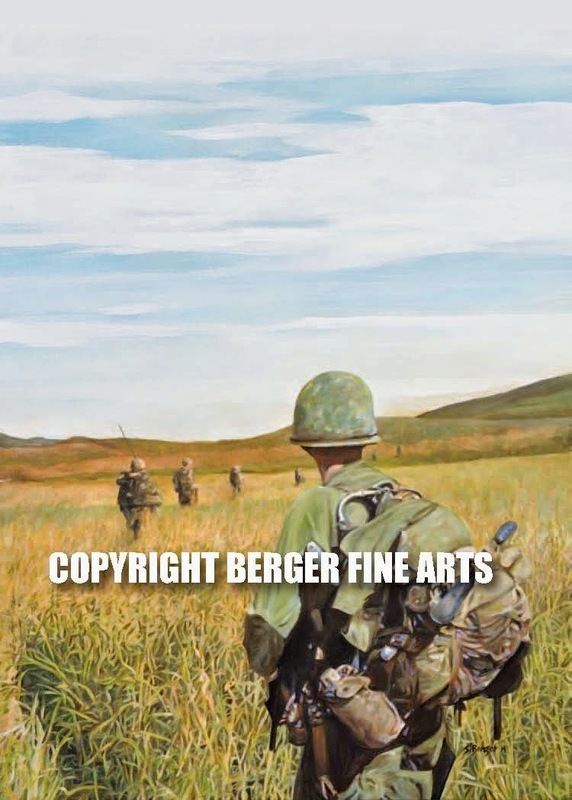 This art is now available in a 18"x18" signed giclee print for 160.00. In the Minnesota Landmark Category or new art category. 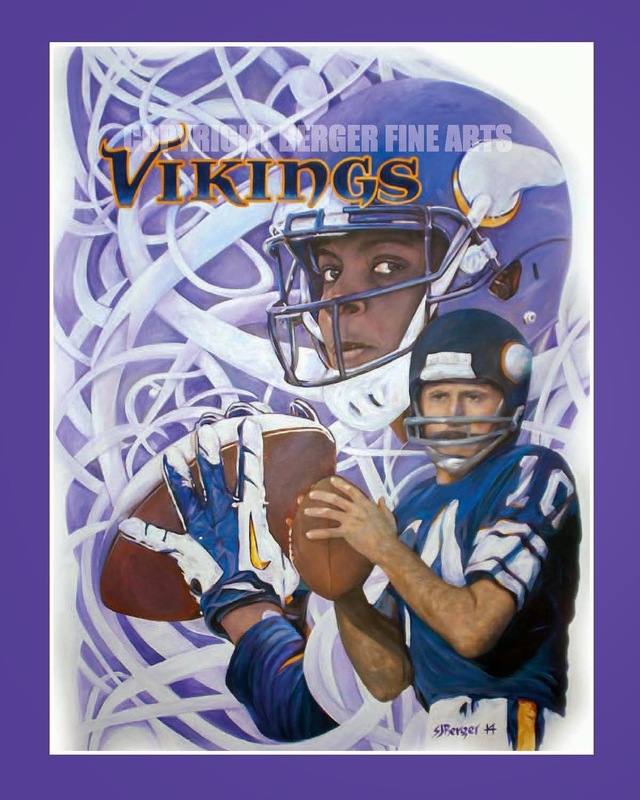 If interested in the original email: steve@bergerfinearts.com.